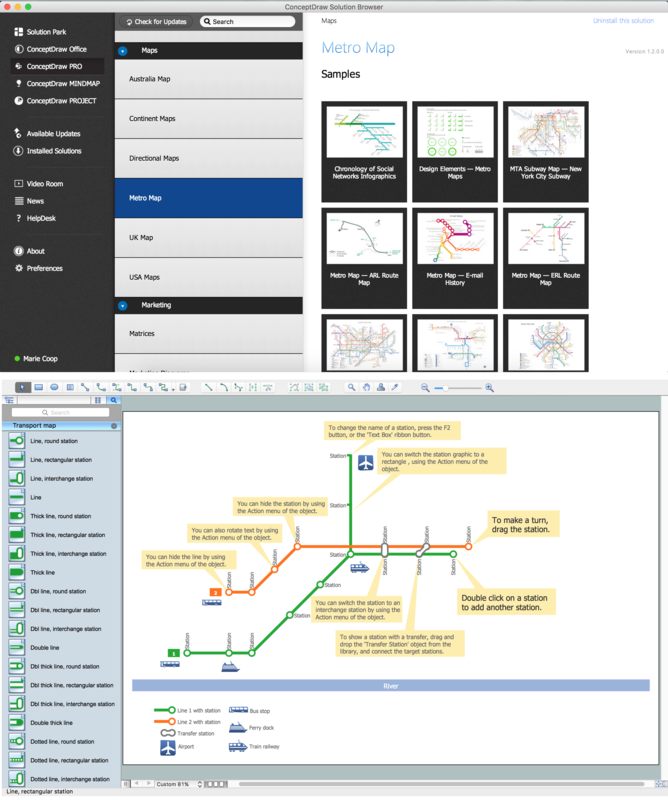 The Metro Map Solution includes a library of specially designed objects, to allow users to design transport maps and tube-style inforgraphics. ConceptDraw DIAGRAM and the ever-growing collection of product extensions in the ConceptDraw Solution Park provide ultimate flexibility and user-friendliness in a robust, full-featured diagramming package. ConceptDraw DIAGRAM supports Apple Mac OS X and Microsoft Windows. This is a one-click tool to add stations to the map. It lets you control the direction in which you create new stations, change lengths, and add text labels and icons. It contains Lines, Stations, and Landmarks objects. The result is a vector graphic document. ConceptDraw DIAGRAM v12 diagramming and vector drawing software offers the best infographic tools - Data-driven Infographics Solution from the “What are Infographics” Area of ConceptDraw Solution Park. 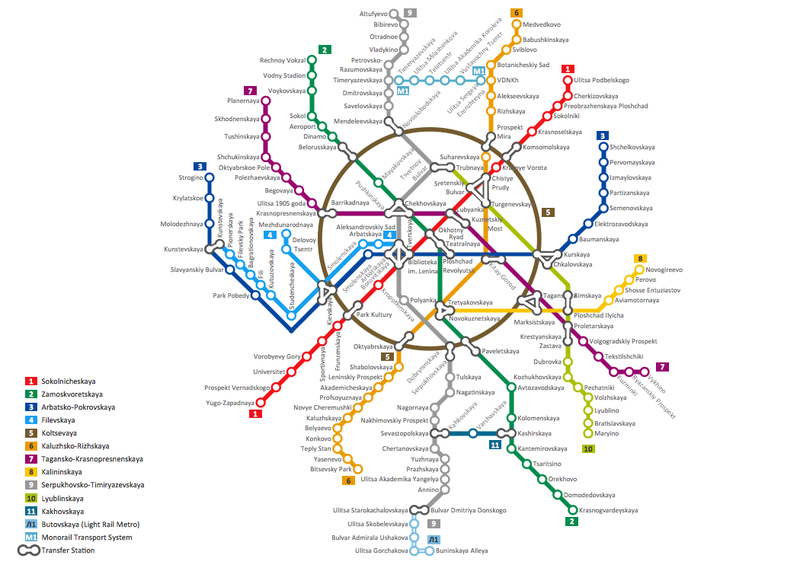 Tool to draw Metro Map styled inforgraphics. London Tube map sample.